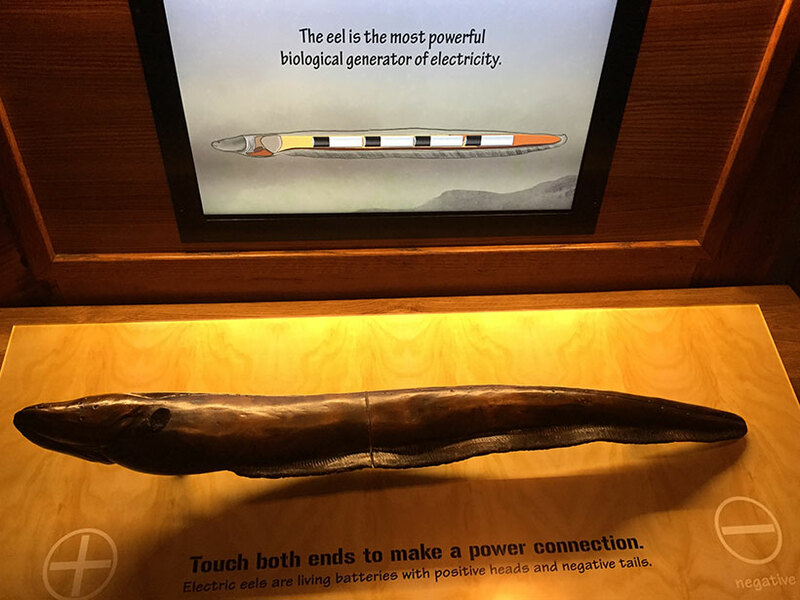 The Electric Fishes Demonstration Lab at the Amazonia House of the Smithsonian’s National Zoo is a multisensory lab home to a 5-foot-long electric eel, capable of generating up to 800 volts of electricity, and a number of other species of electric species. 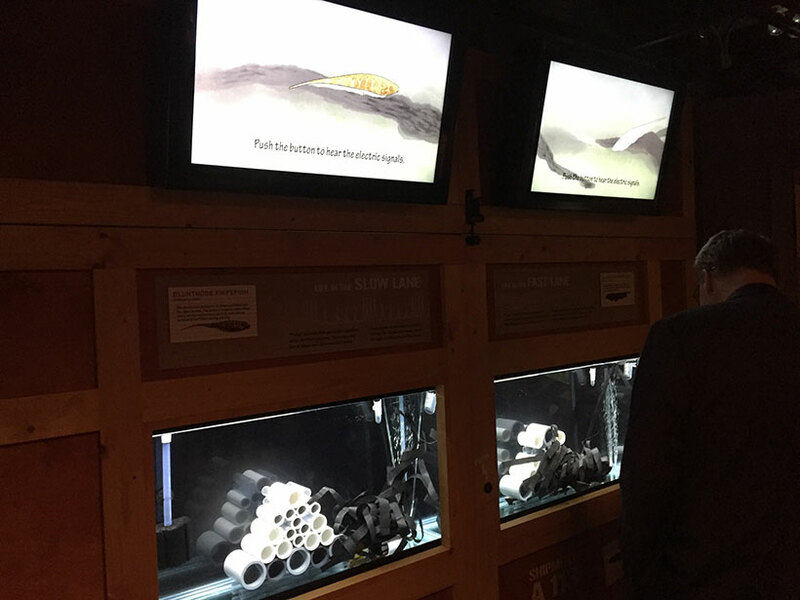 It was a pleasure to be involved with the development of this exhibition from its early stages and create a number of content pieces. 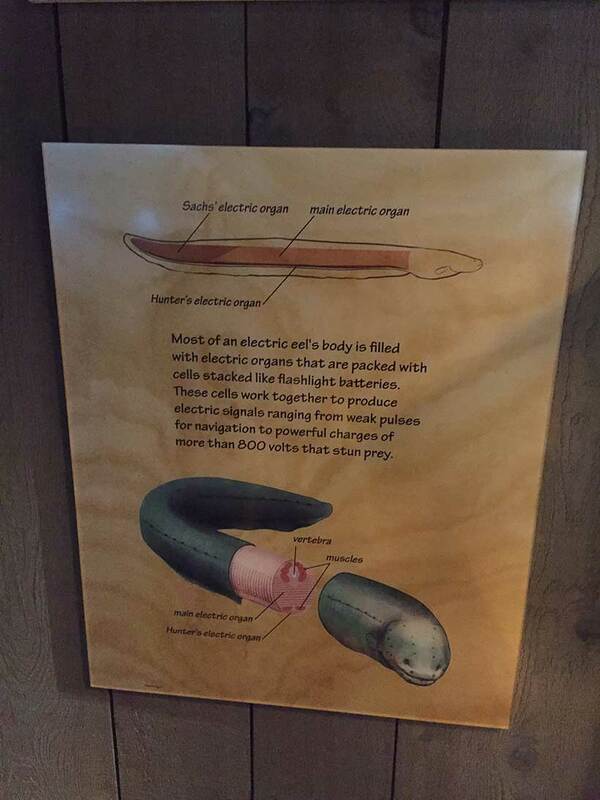 Elsewhere in the exhibition are panels with my illustrations and two additional animations that emphasize the differences between pulse and wave types of electric fishes.